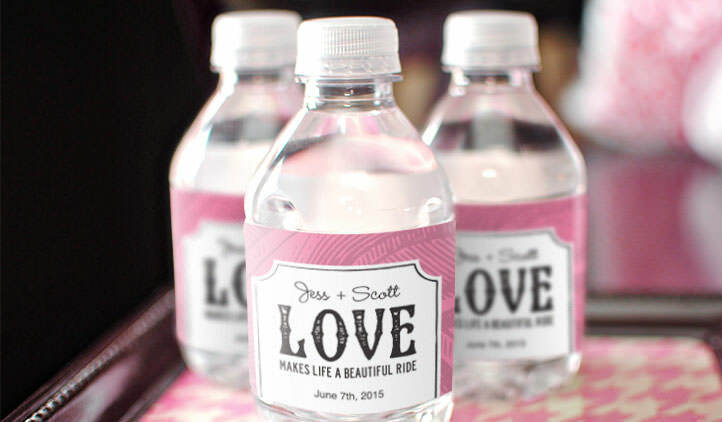 Customize your water bottles at wedding, birthday parties, showers and corporate events. Upload a photo, logo, the bride and groom’s name for a wedding, party theme or just some fun designs and colors! Water bottles are a go-to way to stay refreshed all day, and we think your water bottle should look as fresh as it makes you feel! 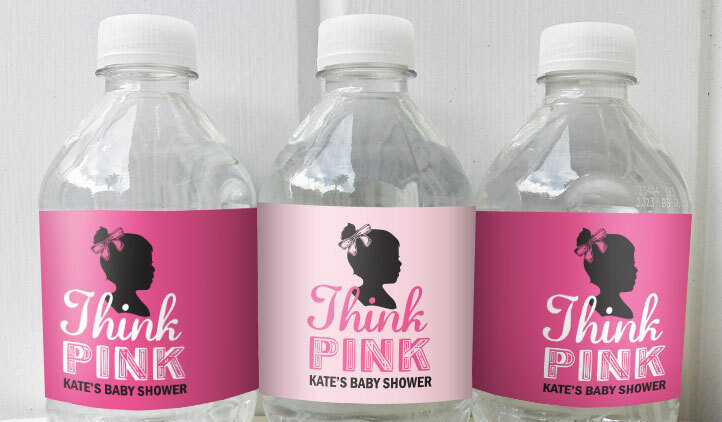 At StickerYou it’s easy to create beautiful customized water bottle labels for your next personal or corporate event. Plastic water bottles can distract with commercial branding when you want your event to be very on-brand and professional. 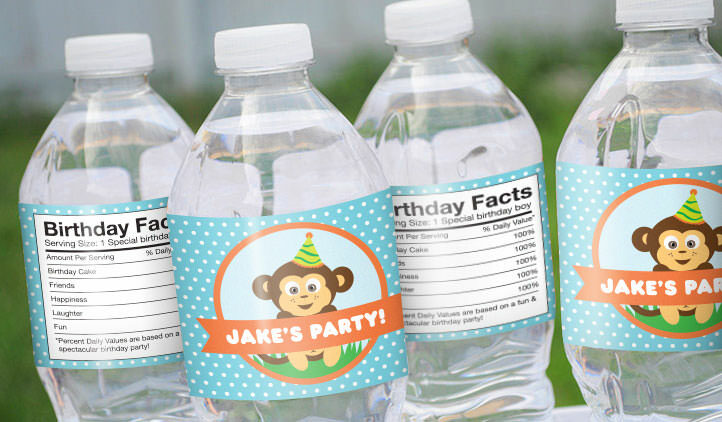 At StickerYou you can customize water bottle labels with fun designs pertaining to your next personal event or with your business’ logo and contact info for business events or trade shows. Custom water bottle labels are also an ideal tool for reusable water bottles you bring to work, school, or summer camp! With water bottles that are customized with names or address and phone numbers, no one can mistake your beautiful bottle for their own. Our water bottle labels are templated to be the perfect size to wrap around plastic water bottles, and with no minimums it’s easy to order for any sized event! Our water bottle labels are safe to go in the dishwasher or microwave and are even waterproof, so your customized water bottle label always stays as fresh looking as you are. 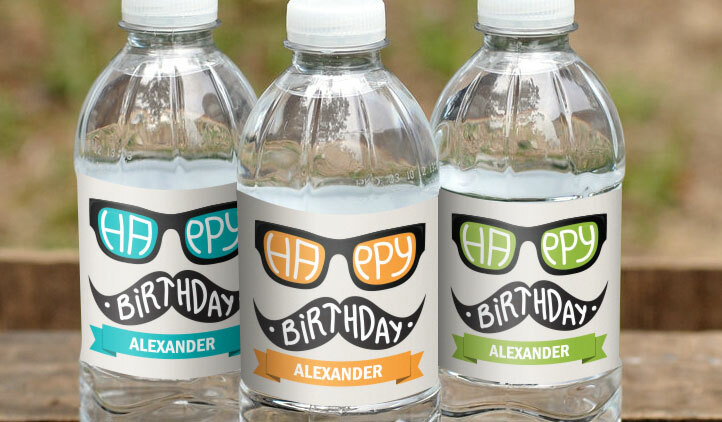 Next time you need a water bottle’s label customized, get your feet wet with StickerYou!